During the cruise the covered sun deck with sun beds, swimming pool, bar and comfortable wicker furniture offered rest and relaxation between the often strenuous sight-seeing excursions. 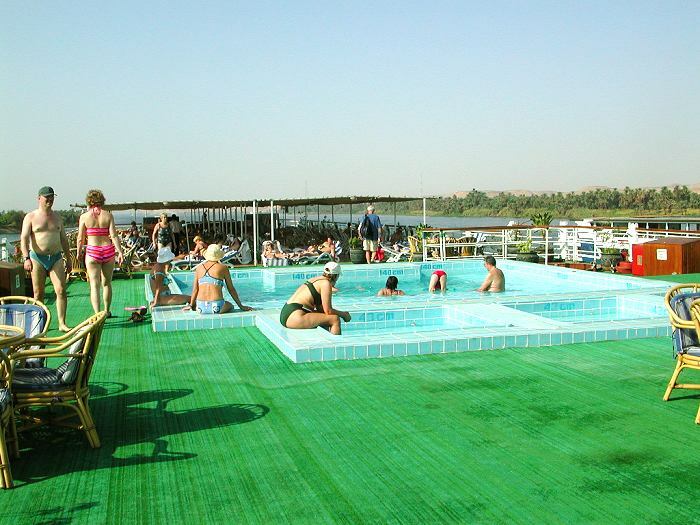 The sail on the river offers marvellous views and interesting insights into the life along the Nile. 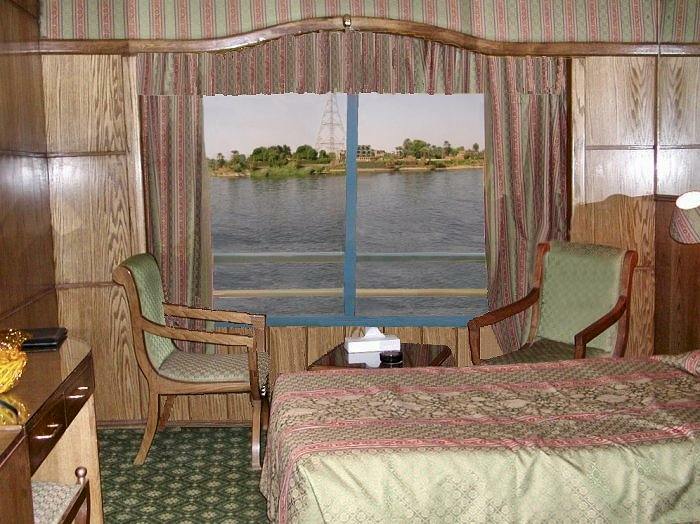 Our round trip began with a one-week cruise on the Nile, which lead us from Luxor to Aswan and back, including a trip to Abu Simbel (see itinerary). It was a unique experience and all people on our tour considered the cruise the most exciting part of our trip through Egypt. 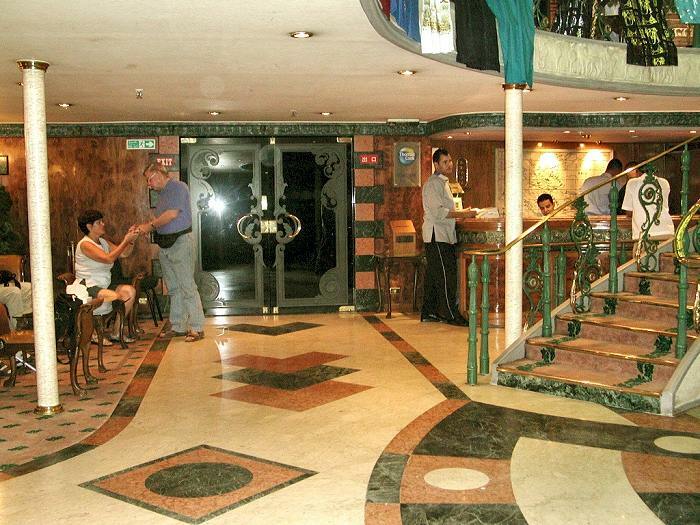 Our cruise ship was the Semiramis II – 3 years old and in very good condition. The maximum permissible age for cruise ships in Egypt is 10 years. The Semiramis II has a length of 203 ft. (62 m), a height to keel line of 49 ft (15 m)and a width of up to 46 ft (14 m) With three engines of 475 HP (PS) it can achieve 37.6 miles per h (60 km/h) but fortunately doesn’t sail at full speed often. The ship has 4 decks with 66 cabins and 4 suites for 144 passengers. The spacious cabins (184 sq ft/18m2) are luxuriously furnished with TV, bath and large mirrors and are really comfortable. A crew of 55 does everything to make the stay on the ship an unforgettable, beautiful and pleasurable experience. 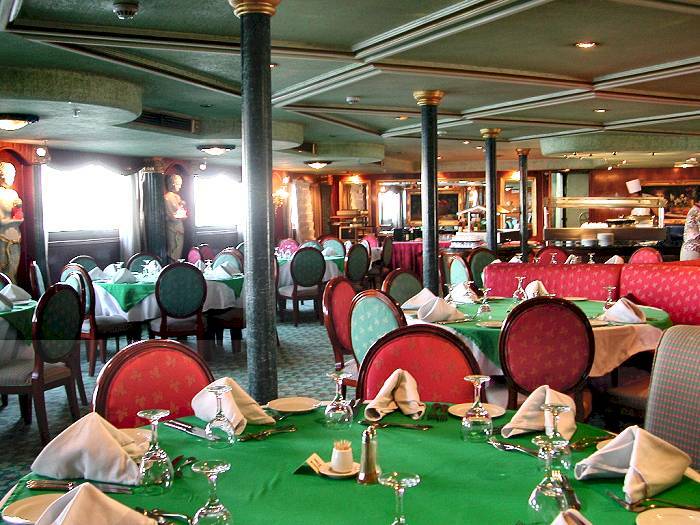 The elegant restaurant offers delicious international meals as well as fine desserts, while the ship’s bakers spoil the guests with fine cakes, and fruit tarts. 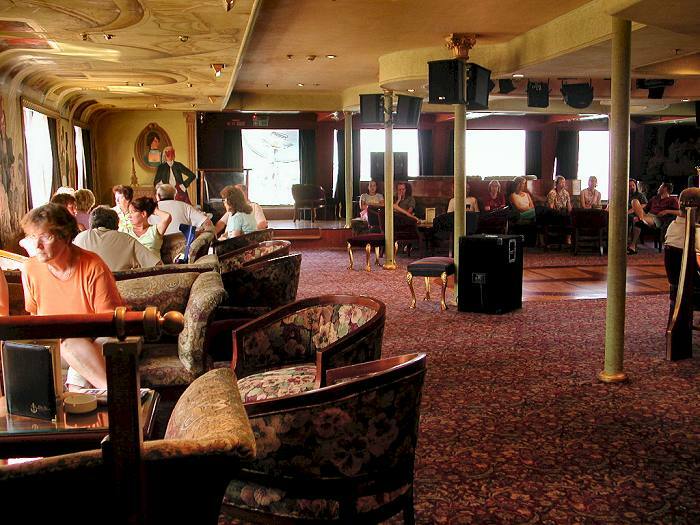 The ship also has a big bar, which was used for various entertainments, a billiard room and a library.